Pan African Financial institution, United Bank for Africa (UBA) has again disrupted the e-payment space with the introduction of Master Pass ‘Quick Response’ (QR) Bot. The revolutionary solution enables the micro, small and medium enterprises (MSMEs) in Nigeria and across Africa to receive digital payments from their customers through scanning, using their Facebook account. Developed by MasterCard International in partnership with Facebook, Master Pass ‘Quick Response’ (QR), allows payment collection by SMEs through Facebook Messenger and delivers unified and instant self-service across a range of interconnected payment solutions. With this development, customers are given the freedom to shop across devices and channels. With Masterpass QR for Merchants, small and informal micro-merchants, large corporates and governments now have access to fast, simple and secure digital payments options, a global digital system that allows people pay for services using mobile phones. In addition, Individuals can now make purchases via merchant apps, in-store or online by simply clicking the Masterpass button and authenticating to complete a transaction. All a user simply needs to do is Scan the QR Code generated by the merchants to pay. Making transactions for both the merchant and customer fast and seamless. He noted that access to mobile technology presents an opportunity to meet this demand, and the new UBA Masterpass QR Merchant App is set to change the payment landscape to the benefit of micro-merchants across the country. The announcement follows the Pan African commitment made by UBA to introduce safer and more convenient ways to pay for goods and services in Nigeria and across the continent. “As a group, we are committed to driving financial inclusion and empowering businesses across Africa. Our partnership with Mastercard enables us to deploy safe digital solutions for customers, and the UBA Masterpass QR Merchant App is just such a solution,” said Rao. Rao confirmed that UBA will be working with other Mastercard partners that are experts in their respective fields thereby further supporting the local industry. “By using Masterpass, our customers can know with confidence that they are paying with trusted technology, whether they are a small business buying equipment at an office supply store or a family of four dining at their favourite neighbourhood restaurant. Earlier this year, UBA launched a chat banking personality named LEO that enables its customers to make use of their Facebook chat function to carry out key banking transactions. LEO, allows customers to open new accounts, receive instant transaction notifications, check their balances on the go, transfer funds and airtime top up. You can also confirm cheques, pay bills, apply for loans, freeze accounts, ask for mini statements, among other things and even check the weather. 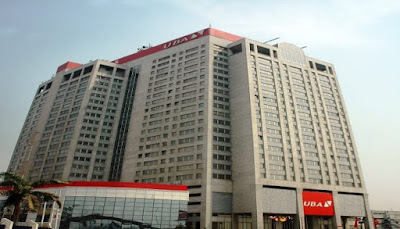 UBA, Africa’s global bank, is one of the largest commercial banks in Nigeria incorporated which operates in 19 African countries whilst providing a wide range of products and services. UBA is a leading bank in infrastructure financing, particularly in the Power, Telecoms and Transport sectors. UBA leads in social infrastructure such as hospital and education facilities to various countries in Africa. In Nigeria, the bank operates in each of the country’s 36 states, helping to deepen financial inclusion through its brick and mortar network as well as through its cutting-edge digital platforms. Globally, UBA has over 1,000 branches and customer touch points, serving over 14 million customers.